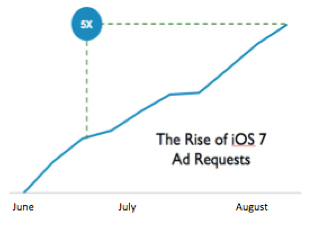 Get Ready for iOS 7 with InMobi Ad SDK 400! 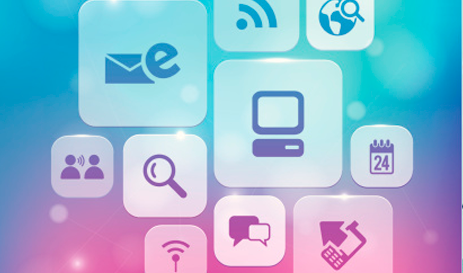 We are pleased to announce the release of InMobi Ad SDK 400. Optimized for Apple's new iOS 7 specific guidelines, our SDK comes loaded with new enhancements designed to exceed your expectations. From newer ad units to in-built analytics, this SDK focuses on improving monetization and enhancing your users in-app experience. Ever since Apple released iOS 7 Beta 1 on June 10th 2013, developers and non-developers have been upgrading their devices to the new OS. Early adopters hopped on the iOS 7 bandwagon and have been using it on their daily devices and the number of users has been growing with every incremental beta release. The result shows in our data as the InMobi ad network has seen a virtual explosion in the number of ad requests originating from iOS 7 devices. Our network has experienced millions of ad requests from the newer OS, with this number jumping almost five times in the last month and a half. Advertisers on our network have recognized this trend and are already running several thousand campaigns targeting iOS 7 devices. With the iOS 7 Gold Master release round the corner, we expect these numbers to skyrocket. Given all the platform and policy changes introduced by Apple in iOS 7, the team at InMobi encourages all developers to update to the new SDK 400 for an uninterrupted monetization and end-user experience with iOS 7. We can now feature ads that promise higher end-user engagement while preserving your in-app experience. Even standard banners and interstitial ads will provide a fresh new look for your users. Get exclusive access to a rich gallery of frames and transparent layers to deliver a custom ad experience - with absolutely no code changes to your app. Also, receive engaging video ads from premium global advertisers and watch your eCPMs grow! Moreover, SDK 400 comes with in-built intelligent analytics capabilities to help you deep-dive into user behavior. You can track in-app behavior such as user engagement, purchase trends, level completions, and more--for insight on what works. Go one step further and target different segments of your user base with the most relevant promotions for your virtual goods or other apps. So what are you waiting for? 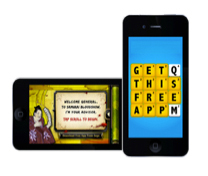 Integrate InMobi Ad SDK 400 with your iOS app now! Click here to download SDK 400 from our download center. If you would like to know more about the changes in iOS 7 and how SDK 400 complements them, attend our webinar.